Not only does the book share insight into Elvis’ as mystic and healer, it shares equally important lessons Stanley learned from witnessing his stepbrother’s monumental struggle between his most authentic spiritual self, his private demons and his feelings of imprisonment resulting from his fame and public adulation. The book provides new insight into the wisdom and gifts Elvis never openly discussed in public. The untold stories of each chapter revolve around life lessons encouraging and assisting readers to discover the lessons and answers in their own lives. “This is the one Elvis story that hasn’t been written because I’m the only one who could tell it. Only now after the passage of time, do I have the depth of understanding to share the story in ways that I hope will be healing to many,” said Stanley. The name David Stanley* will be familiar to most Elvis fans. As Elvis' youngest stepbrother, David grew up in the shadow of his famous brother and was exposed to a colorful and often excessive lifestyle most people only dream about. For a young boy growing up in a surreal rock and roll world, Davids experience was a testing one, despite its many conflicting opportunities. 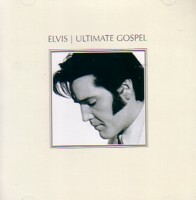 If you are familiar with David’s published works since Elvis’ death in 1977, you will be aware that he has been travelling along a rocky and often painful, detour afflicted path to spiritual enlightenment; trying to make sense of his life; the role of Elvis in his spiritual growth; and importantly, achieving real, ongoing personal growth. In his first solo book release in 1986, Life With Elvis, David, with great candour, set the scene for his latest book by sharing the challenges and joys of growing up as Elvis’ youngest stepbrother and importantly revealing his search for real meaning in his life. It is a journey that has taken David in many directions with many surprises (not all positive); a journey which has brought him, in 2012, to a much clearer realisation and understanding about his life and the important role in it played by Elvis. I was always amazed at how comfortable I felt in the pulpit. It was easy for me to stand up in front of people and tell them how God had brought me through all the hard times. I knew that being Elvis Presley’s stepbrother was opening doors for me, but at the same time, my message was always that God was using me not because I was Elvis’s brother, but rather in spite of the fact I was Elvis’s brother. Like the Apostle Paul, I was always thought of myself as the “chiefest of sinners”. In 2012 David releases his latest book.....one which is very different to those preceding it. 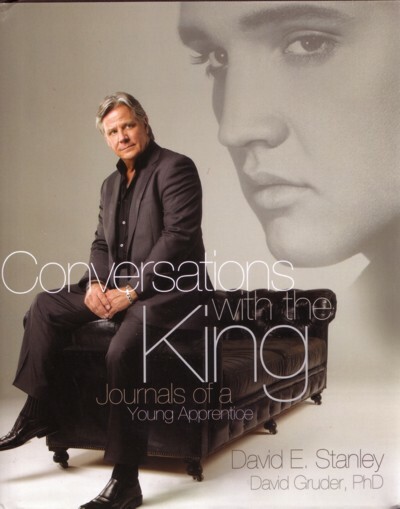 Conversations with the King Journals of a Young Apprentice reveals the extraordinary spiritual lessons Elvis revealed to David, Elvis’ stepbrother. As private mystic and healer, Elvis instilled in David valuable lessons during the seventeen years Stanley served as Elvis’ young apprentice. As you will have surmised by now, this is not your typical Elvis book, rather it is one that speaks straight to the heart of what Elvis, the person, not the singer, was about. While most fans are aware Elvis shared a great interest in religion and the search for real meaning in life, with one or two exceptions, these themes have not been well covered in the written canon about him. Conversations with the King is an important publication in rectifying this issue. David Stanley's reflection of the themes, in the context of his own growth over several decades, allows him to cogently dissect and pierce the mystery of why Elvis and his legend endures, 35 years after his passing. 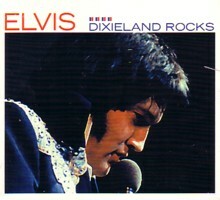 Other themes in Conversations with the King will challenge many readers, particularly Elvis as mystic; Elvis as healer. The strength of Conversations with the King is its ability to strip away the façade of material life to reveal what is the universal search for non-material meaning in our lives. For some, the concept of spirituality may cause dissonance, partricularly if the reader views spiitualism as a solely religious phenomenon (which it is not). For other readers, what David Stanley has written is, on one level, an instructional manual that anyone can use to obtain greater understanding of oneself. His managers wanted to keep the extent of Elvis’s spiritual seeking as private as possible in order to not risk threatening his image. What do you think happens to our less-than savoury parts when we feel pressure to only show others our sanitized public self? ...is this Elvis’ biggest legacy of all and is it the key to finally unlocking the mystery of why his legend continues to endure so strongly decades after his death? Conversations with the King is a fascinating story of two men, closely intertwined through unusual circumstances, and more importantly it is the story of their personal battles to achieve a greater understanding of their purpose in life and find their authentic self. On this level their stories automatically resonate with the search that most people undertake, at least at some point in their lives. While the core of this illuminating release is about spirituality and finding one's true self, Stanley provides much information about his time at Graceland. That was the beginning of a fishbowl existence. You’ve heard the expression, “What happens in Vegas stays in Vegas?” I learned young that what happens in Graceland stays in Graceland. I learned that loyalty meant isolation; I was never to talk to others about private life in the Presley family, or to open up to others about my emotions and inner world. Stanley also addresses issues which angered many fans, including candidly acknowledging the damage done by his infamous drugs article from the 1990s, written with Albert Goldman. And on Elvis' death on 16 August 1977, Stanley's perspective is compelling! Conversations with the King will challenge many readers with its very different subject matter. This is how it should be, because being challenged is a necessary experience which provides the opportunity for reflection, reassessment and eventually, growth. Conversations with the King will not be for all fans. However, if you are willing to consider a different perspective on Elvis and his life, and are willing to explore the concept of spirituality as it affected Elvis and David Stanley, there is an abundance of important information to be found in this release. This is a release which offers an opportunity to, in a very different way, understand who Elvis really was, and through the lessons Elvis taught David and the tools David provides, open the door for the reader to potentially also find personal growth and their 'authentic self". * David Stanley's story was presented in the 2007 film, Protecting the King. David Stanley talks to EIN about Elvis, his life in 2012 and his latest book, Conversations with the King! 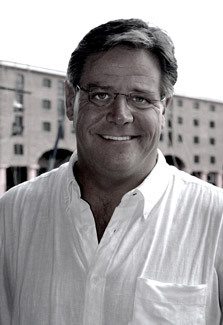 David E. Stanley was born in Newport News, Virginia in 1955 to Bill and Dee Stanley. Three years later his parents divorced, setting the stage for an extraordinary event. In 1960, Dee Stanley married Vernon Presley, Elvis Presley’s widowed father. David was just four years old, 20 years younger than his new stepbrother when he moved into the Graceland Mansion. Through a strange twist of fate, Elvis Presley had become David’s big brother. David spent the next 17 years growing up with Elvis Presley and became the young apprentice to an Elvis few knew - Elvis the mystic and healer. 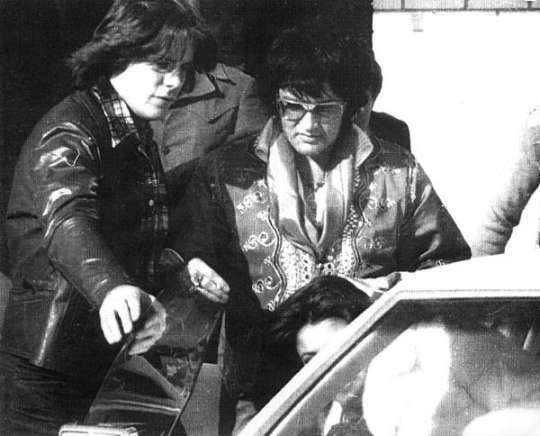 On August 16, 1977, David was among the first to find the lifeless body of Elvis---the man who had been his brother, friend, mentor and surrogate father. 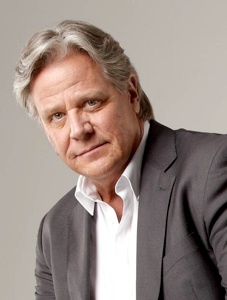 Today David Stanley is a bestselling author and speaker in the field of self-development. He is the co-author of the New York Times Bestseller, “Elvis We Love You Tender” and author of “Raised on Rock” and “The Elvis Encyclopedia”. His latest book, “Conversations with the King -- Journals of a Young Apprentice” is being released in May 2012. Dr Gruder is a licensed clinical psychologist and award winning author and speaker in the area of self-development and spiritual growth. He is also recognised as the foremost expert in the area of integrity, intentional effectiveness and accountability. Dr Gruder trains and consults with professionals, businesses and leaders worldwide.